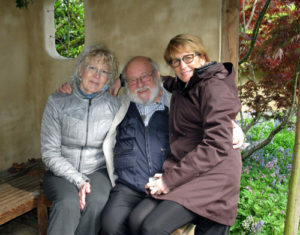 My friend Robin Hopper recently wrote about learning to throw on the potter’s wheel. I thought I would share his thoughts since I am asked often about this skill. 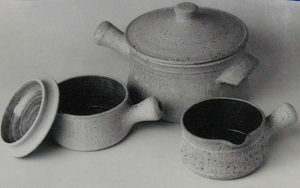 Robin has written several books about ceramics. 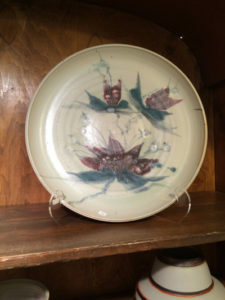 I own all of them and consider them to be some of the most informative ceramic books that I own. 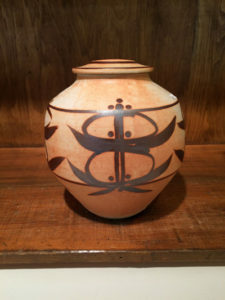 “AS I’VE SAID MANY TIMES BEFORE, LEARNING TO THROW ON THE POTTERS’ WHEEL IS LIKELY THE MOST COMPLEX AND FRUSTRATING ACTIVITY THAT MANKIND EVER DEVISED. THAT BEING SAID, THROWING HAS PRODUCED OBJECTS OF MAGNIFICENCE OVER MOST OF THE WORLD FOR SEVERAL THOUSANDS OF YEARS. WHEN I WAS RESEARCHING THEE PROCESS I CAME TO THE CONCLUSION THAT TO BECOME A REALLY GOOD THROWER ONE NEEDS TO TRAIN ONE’S BODY INTO IT AS A CHILD, BORN INTO A FAMILY TRADITION AND THOROUGHLY ATTUNED TO REPETITIVE MOVEMENT. CONTINUAL EXERCISES CERTAINLY HELP, BUT IT IS A VERY SLOW DEVELOPMENT PROCESS. I RECOMMEND REPETITIVE EXERCISES IN SIZES AND WEIGHT VARIATION TO LEARN CONTROL. WHEN DEVELOPING VIDEOS FOR BEGINNER AND ADVANCED THROWING MUCH ATTENTION WAS GIVEN TO THE VARIATIONS IN THE HUMAN FRAME AND ITS EXTREMITIES THAT TOUCH THE CLAY. COMPLEX ISSUES OF TOUCH AND PRESSURE ARE ALMOST IMPOSSIBLE TO ACCURATELY DESCRIBE USING SPOKEN LANGUAGE. “TRY IT AND SEE” HAS ALWAYS BEEN MY CREDO. I say that it took me a long time to get comfortable with throwing. Instructors would tell me that I needed to feel my hands aligned with one another. Early on, I thought they were crazy. I just couldn’t feel it. But, with years of practice. I had an “ah ha moment” and finally got it. 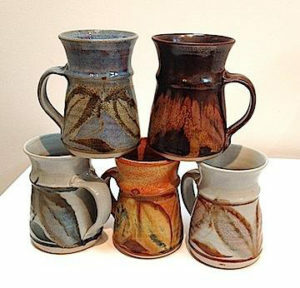 A very good friend said that she watched me struggle for years and told herself that I would never learn how to throw. I was very glad that she never said this to me when I was wrestling with the clay. 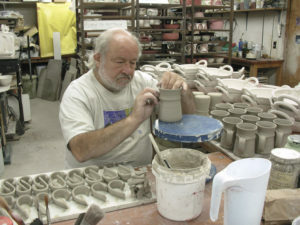 Now, I say that throwing on the potter’s wheel is like practicing a musical instrument. You have to put the hours in so that your body builds muscle memory as to where your hands are supposed to be. 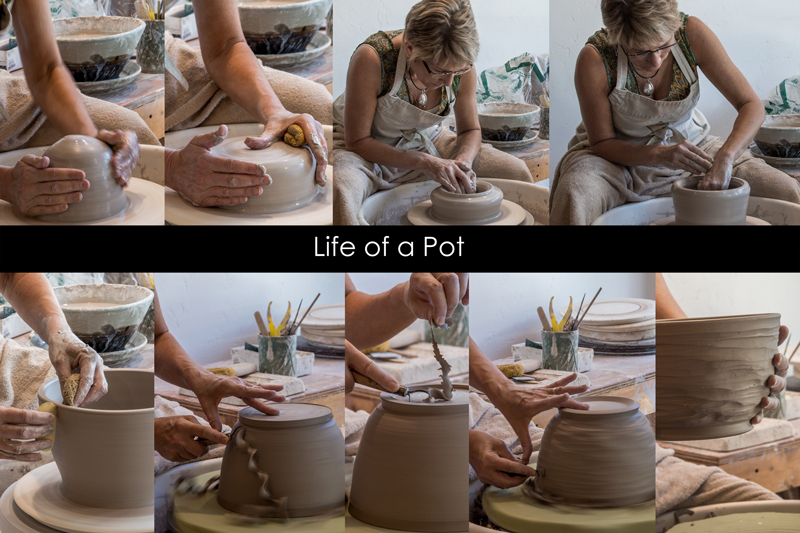 Then, you can begin to make your own pots. Vases and Parking Garages? What do they have in common?